Brownie is a cuddle CHAMP! She’ll let you know she’s into snuggles by putting her head on your lap or gently petting you with her paw. She sleeps soundly in her own bed and has the most delightful little snore. While content to have her own space when you’re busy, Brownie is in her bliss when you invite her up on the couch with you. Brownie is brushing up on her leash skills and loves to meet new people and pups. She is OK with downtown traffic but also loves secluded walks on neighbourhood sidewalks. She is quiet and non destructive both inside and out. 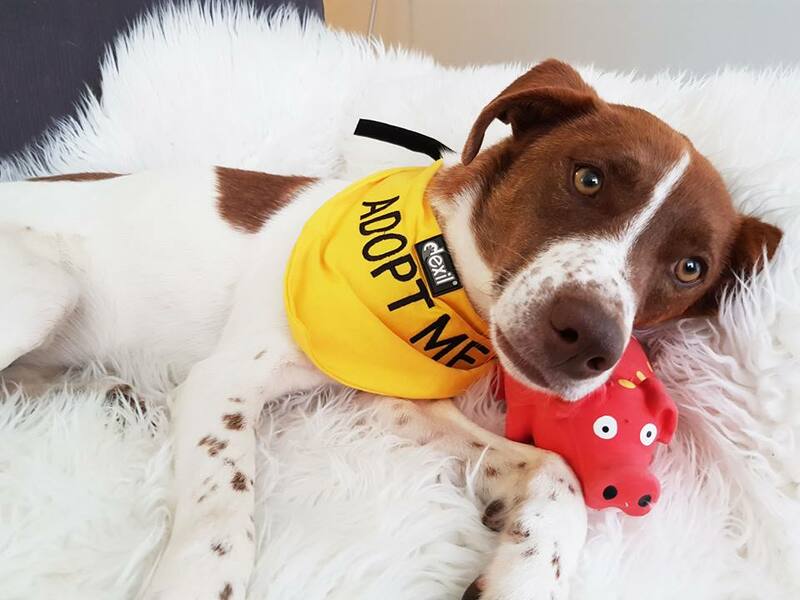 Brownie is such a smart girl — she has learned sit, down and off, and is working on perfecting house training and being unattended for a few hours at a time. Need an adventure partner? A snuggle buddy? A friend for your current dog? Brownie’s your girl!